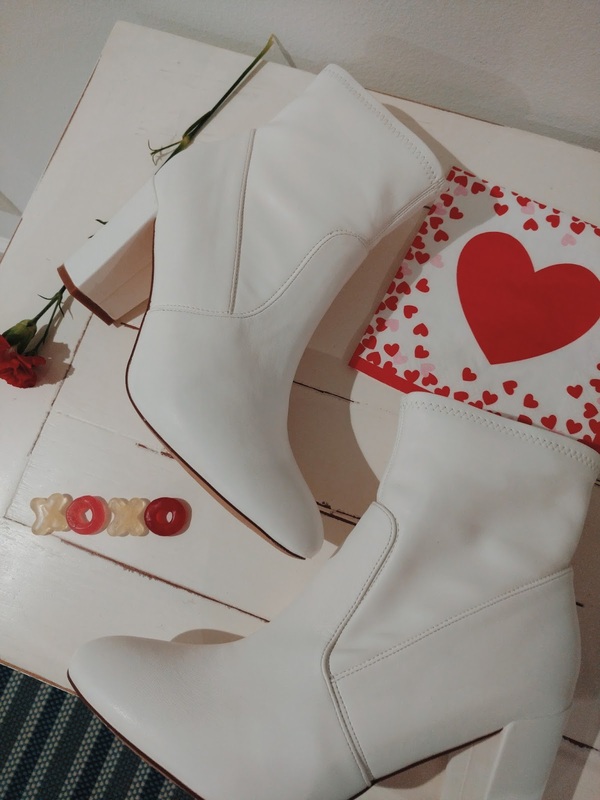 Made famous by Leslie Knope of the TV Show Parks and Recreation, Galentine's Day is a celebration of love between girlfriends. 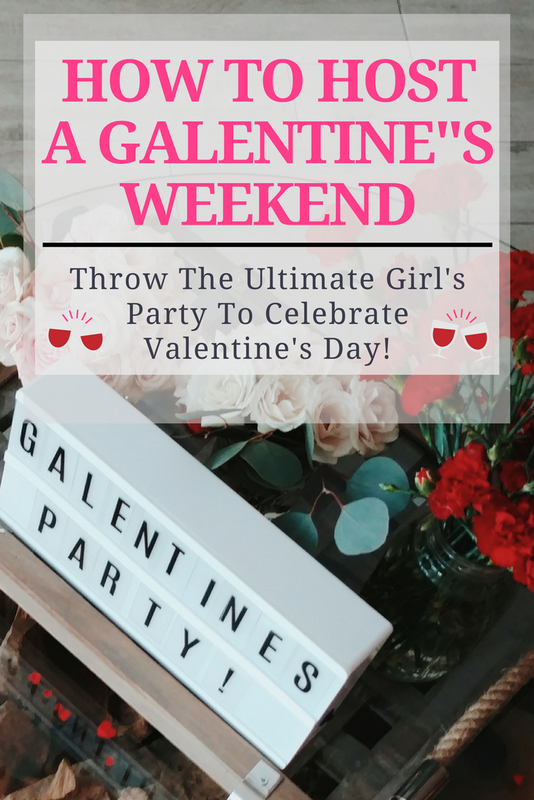 When Kahlea posted about hosting a Galentine's Weekend away on her Instagram stories a few weeks back, part of me felt so thrilled for the idea of getting a bunch of bloggers together to hang out. The other part of me was terrified, as I'm such an introvert and the thought of meeting so many new girls made me feel overwhelmed. However, I pondered the weekend getaway idea for a bit before letting Kahlea know that I was excited to attend. And, one of my life mottos for this year is to GET OUT OF MY COMFORT ZONE. 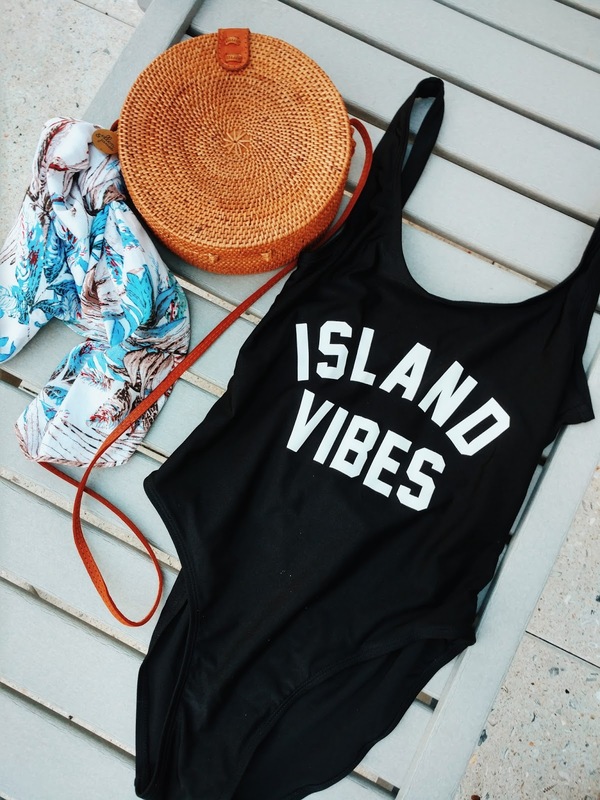 I even shared this motto with two other girls I carpooled with to the beach house to reinforce my 2018 goal. I am used to sticking to what I know best, which never allows me to step away from the norm. Attending an event like Galentine's Day forces me to meet new people and expand my horizons. Although it was scary, and there were a lot of thoughts floating around my head such as, "What will happen once I get there?! ", I knew I had to do it or else I would be kicking myself for not making strides to get out of my comfort zone. Letting yourself be vulnerable and open to trying new things is obviously SCARY, but it can become the most rewarding experience when you look back on all of the fun you had challenging yourself to escape the mundane. 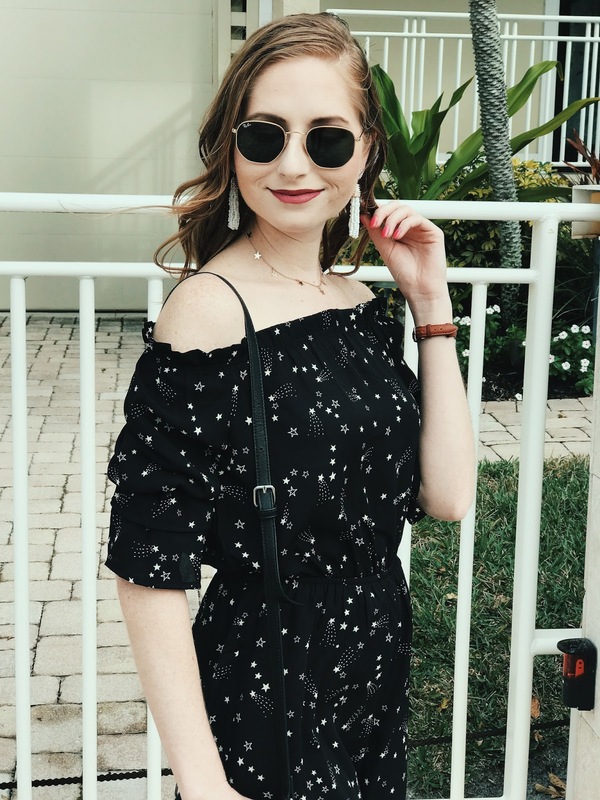 It helped that the Siesta Key resort-style house looked absolutely incredible and I knew we would all be camera ready to shoot a ton of looks for each other. 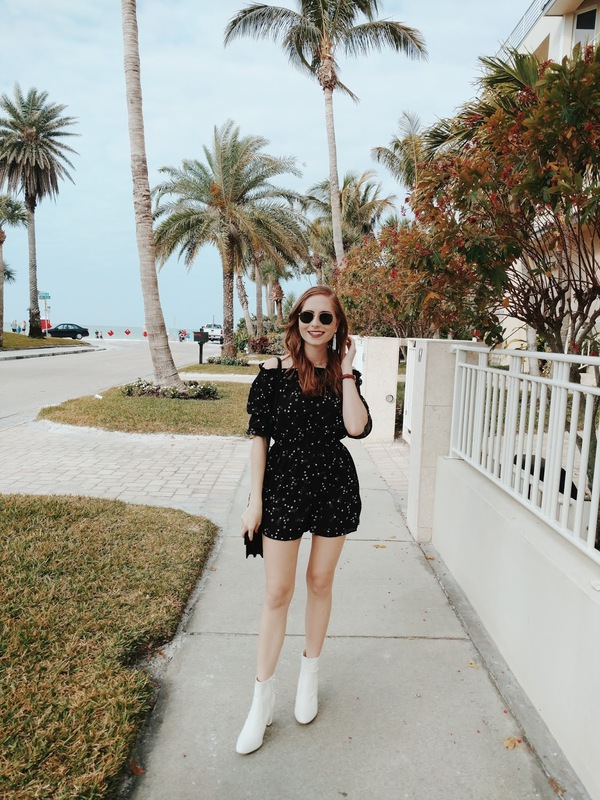 So with a couple taps on my phone responding to Kahlea's Insta story, I agreed to participate in the ultimate girl's trip down in sunny Siesta Key! 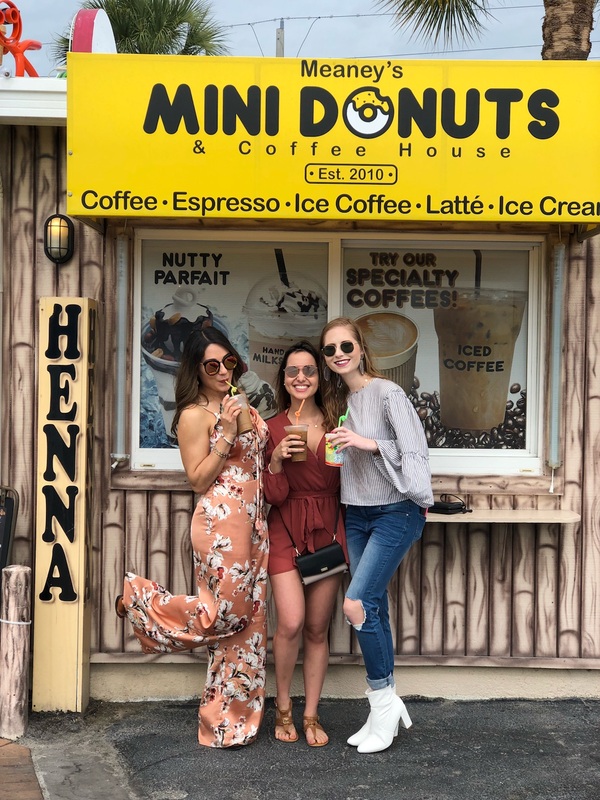 As soon as we strolled up to the house, the nervous jitters hit me, but at the same time, I could not wait to explore the town with all of these amazing young women. 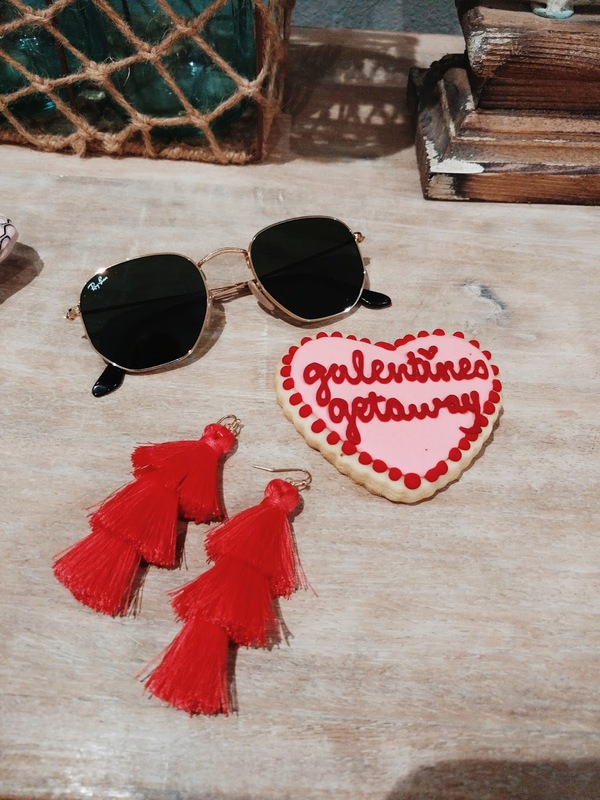 You can take away some tips on how to plan your own Galentine's Getaway with friends, too! One of the main categories to figure out is food! Luckily for us, we had a few options to choose from for dinner on Saturday night. A TACO BAR was set up along the main dining room table. Girls could choose between chicken or shrimp tacos with hard or soft shells. Fillings included lettuce, tomato, cheese, corn, and sour cream. Tacos are a great food to dole out when hosting a lot of people because the buffet style is super convenient. As for SNACKS, we had a CHEESE BOARD loaded up with all of the best cheeses. Pretzels and chips were overflowing in bowls for easy access throughout the evening. Chocolate peanut butter dessert balls and homemade specialty cookies were also found to snack on various tables within the house. For a delicious and nutritious breakfast item, ACAI BOWLS were the main event once we all woke up the next morning. 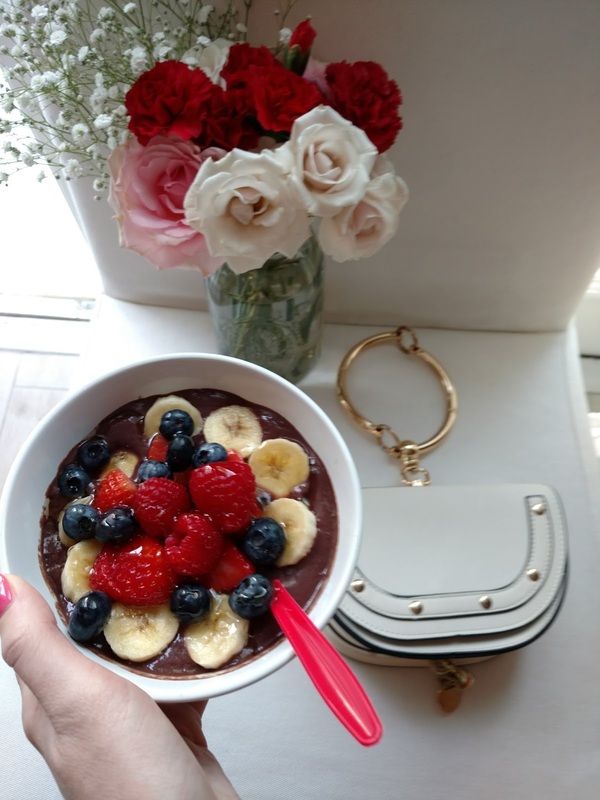 Straight from Trader Joe's, acai bowl packets can be mixed with other healthy foods such as mangoes, strawberries, bananas, spinach, chia seeds, and granola. We also set up an acai bowl station on the main dining room table for the girls to create their own individual breakfast bowls! To wash all of the treats down, other items that were brought into the house for the weekend included WINE, ORANGE JUICE, WATER BOTTLES, and yummy fresh FRUIT (watermelon, pineapple, strawberries)! How adorable is this set up in one of the cutest bathrooms!? The huge rental home in Siesta Key was definitely not short of gorgeous rooms. With eight in total, all of us 26 girls piled into each room for the night's stay. I recommend SORTING ROOMS prior to getting the party started like we did! It made things easier to set up drinks and food for dinnertime. The decor ideas around the house involved a lot of pink and red. 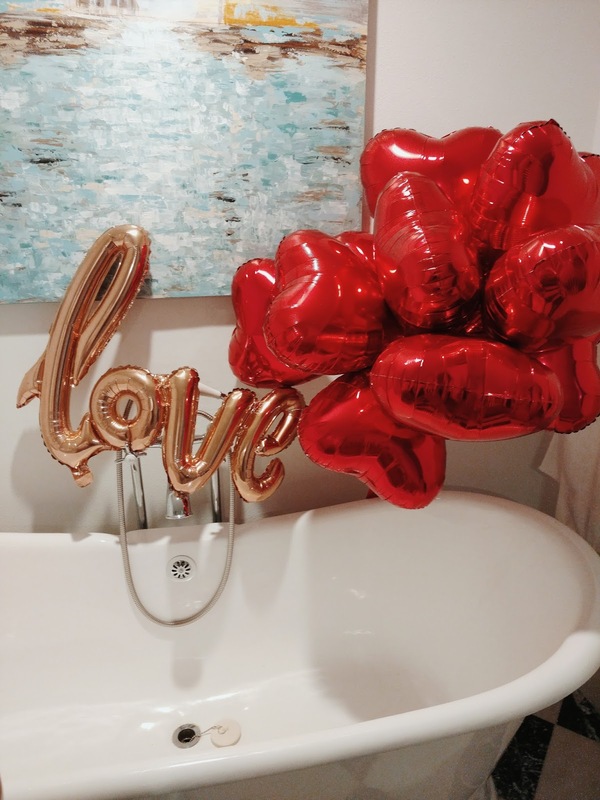 From the RED HEART BALLOONS, to the custom-made COOKIES from AngieQs, to the fresh BLOOMS, the house was decorated in each corner for optimal picture taking moments. Here's a photo of me with PRISKA and TERESA, two of the sweetest girls I met this weekend. There were up for anything and we stopped by St. Armand's Circle before heading over to the house! I loved hanging out with them and learning more about their lives living in St. Pete.